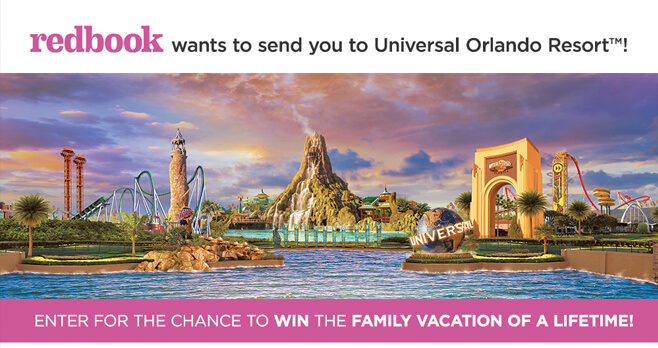 Redbook wants to send you to Universal Orlando Resort with the Universal Orlando Resort Summer Sweepstakes. Visit orlandosweeps.redbookmag.com and enter for your chance to win the family vacation of a lifetime valued at over $4,000. Eligibility: The Redbook Universal Orlando Resort Summer Sweepstakes is open to legal residents of the 50 United States and the District of Columbia, who are 18 years of age or older in their state or territory of residence at time of entry. Ends: Ends on August 6, 2018, at 11:59 PM (ET). Prize: Win a 4 day, 3 night trip for Winner and up to three guests to Universal Orlando Resort in Orlando, Florida. The Approximate Retail Value of Prize is $4,027.31.